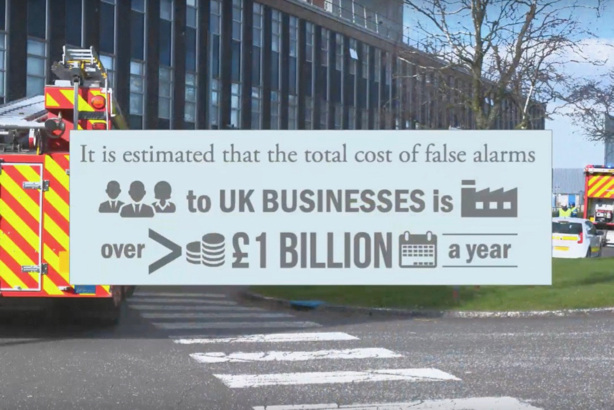 Avon Fire & Rescue Service is tackling the negative impact of false alarm call-outs on genuine emergencies, with a PR and social-led campaign designed to cut their number from more than 5,000 in 2017. Going live now and running until the end of April, the campaign objective is to cut the number of incidents the service attends as a result of mis-functioning automatic fire alarm systems, which in 2017 saw Avon's fire crews called out to 5,583 false alarms. It is being targeted at building owners, managers of commercial and large residential properties, business employees and Avon Fire & Rescue staff. The campaign aims to drive home the fact that every time firefighters are called out to false alarms, they become unavailable to attend genuine emergencies. A secondary message is that false alarms, forcing employees to down tools and evacuate the workplace, cost companies around £1bn a year. Avon Fire & Rescue issued a press release to all local media and trade bodies this week, including a case study of an organisation that Avon has successfully worked with to eliminate false alarms. But the fire service believes that face-to-face comms is the most effective means of communicating the message, so long as it is supported with resources. 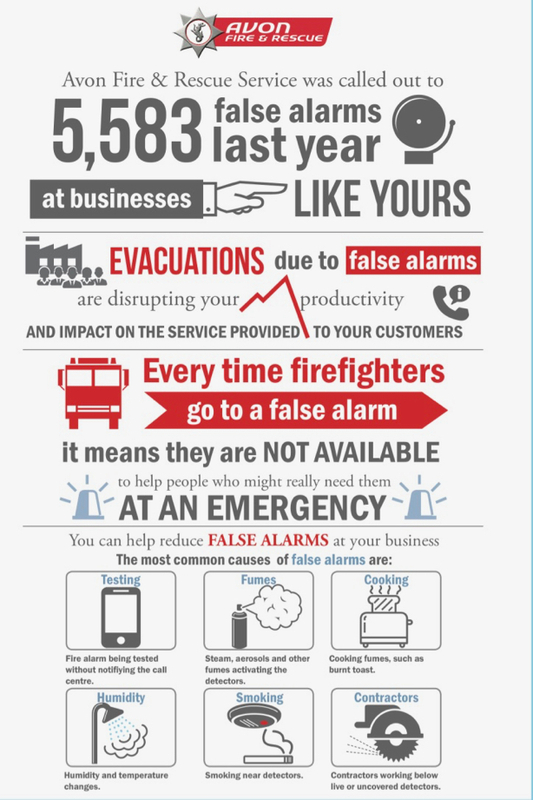 With that in mind, those businesses that have had a high number of false alarms are being visited and presented to by Avon Fire & Rescue staff, while fire crews have been provided with copies of an A5 advice leaflet, A3 and A4 poster (see below) and a checklist for building contractors. A guidance video has also been posted on YouTube on the impact of false alarms and how to reduce them. An electronic partner pack containing a press release and additional resources has been distributed to fire stations, who can in turn send it to businesses in the area. Social activity includes posts targeting corporate Twitter handles, including links to the content. Avon Fire & Rescue is also using its own internal comms (via a newsletter and intranet-distributed video and memos) to tell its staff how they can play a role in supporting businesses. James Bladon, Avon Fire & Rescue's corporate comms manager, said: "In isolation, businesses may believe that a burnt piece of toast that triggers an alarm, resulting in a blue light response, doesn’t impact on the fire and rescue services a great deal. But the reality is the cumulative effect is quite considerable. What we’re trying to highlight with this campaign is the real impact both to ourselves and to businesses." Bladon added that as well as preventing firefighters from attending genuine emergencies and costing businesses, false alarms "also disrupt our activity, such as training and safety work in the community". "With all that in mind I hope we’re pushing against an open door, so this campaign is really about putting the issue on people’s radar." Each of Avon's fire stations has been given a target to hit, stipulating the number of businesses they must engage with in their area. The comms team will track its social and media engagements as the campaign continues.